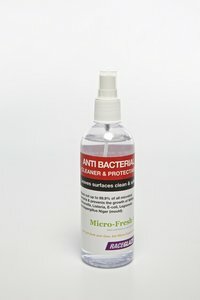 Stays active on surfaces like leather for up to 6 months and should therefore be used after any other cleaners. For any valeters who want to offer an extra clean service or protect themselves, people hiring cars, people with kids or pets, people buying any second hand goods - many many uses. Its performance in killing mould and stopping regrowth is proven.